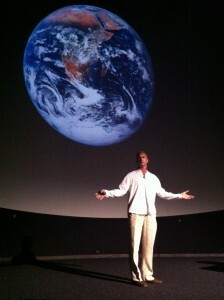 “Entrepreneurial Earth” is a mindset conducive to the practical development of sustainable and thriving human culture. Entrepreneurial Earth, LLC (E.E. LLC), founded by Martin Ogle, helps companies, organizations and individuals/families achieve their sustainability goals and engage their innate human creativity to envision and implement sustainable ways of working and living. Towards these ends, E.E. LLC offers education (programs and workshops), consulting and project-based work. (Discover More: Services). Entrepreneurial Earth is working with the Parent Engagement Network in Boulder County, CO to promote the connection of environmental literacy and concern with ALL careers, especially at the high school level. We have co-sponsored presentations in the community and are currently planning workshops and presentations for parents, teens, teachers, guidance counselors and others. See the “Musing” (periodic blog) entitled “Environmental Literacy and ALL Careers” for more information on why this project is important for young people and our world. Listen to KGNU Radio’s “Connections” show on Dec. 15, 2017, on which I was interviewed about this ALL Careers theme. This theme is one that is recognized by nationally known authors and thought-leaders. Richard Louv, author of “Last Child in the Woods,” wrote a blog entitled “Want a Nature-Smart Career? 11 New Jobs for a Nature-Rich Future (and for Right Now).” The California Department of Education’s “A Blueprint for Environmental Literacy” discusses environmental literacy as fundamental to careers in the 21st century. Nationally recognized sustainability advocate, David Orr, delivered a speech at Claremont McKenna College in 2015 entitle “Hot Careers in a Warming Climate” that champions the idea that addressing the challenges of our time must involve all careers – our whole economy. In Boulder, we aim to build upon these concepts and offer high school (and other students) a clear sense of how any career they choose could be part of making a transition to a green economy.